Each year, Edmonton police randomly stop, question and document tens of thousands of citizens who are not under arrest. It's a practice police call street checks, but others know it as carding. 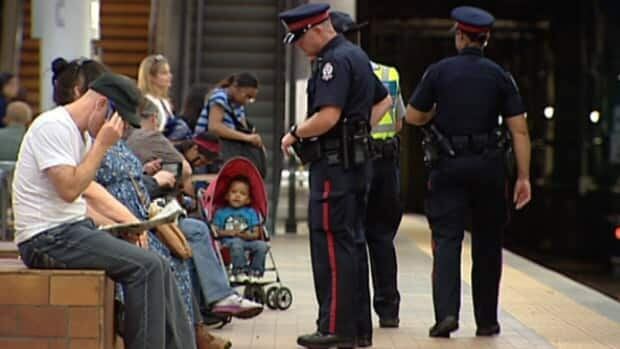 Figures provided by Edmonton police show between 2011 and 2014, officers carded an average 26,000-plus people per year, a total of 105,306 over four years. Police insist street checks help solve and prevent crimes. Acting Staff Sgt. Brent Dahlseide, in charge of downtown foot patrols, said the stops aren't motivated by race. "It's not who. It's the behaviour," or the location, said Dahlseide. "I know we don't racially profile. I would be very taken aback if somebody came up and told me that my members who I'm putting out on the street daily were conducting their business in a racial manner. It would really surprise and shock me." Dahlseide said street checks might be misperceived as racial profiling based on preconceived notions about police, or when more checks are conducted in an area heavily populated by one visible minority group.